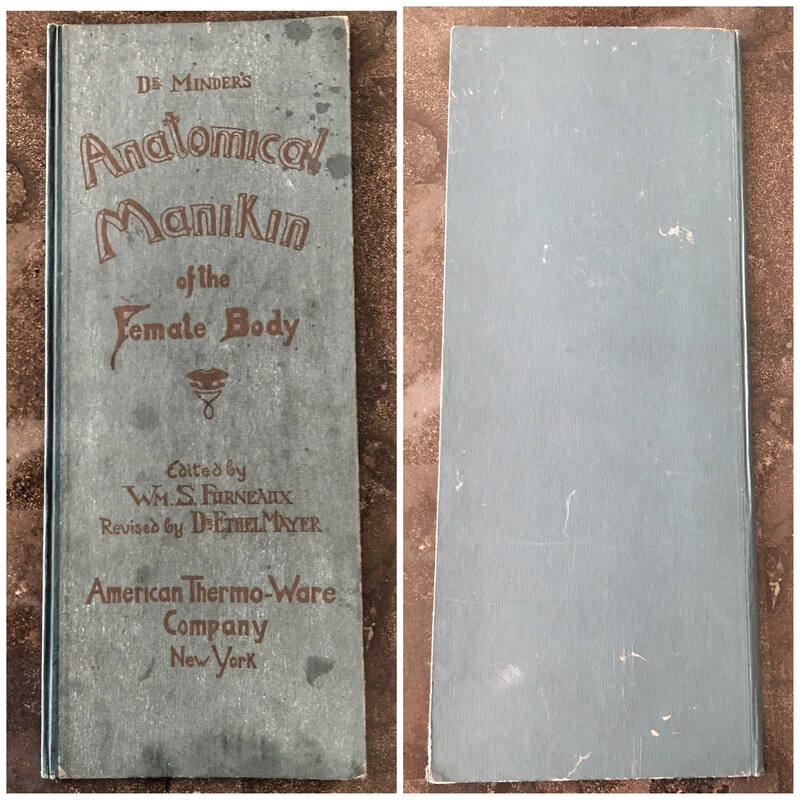 Fascinating old anatomy volume, Dr. Minder's Anatomical Manikin of the Female Body, contains many layers of fold-out illustrations. 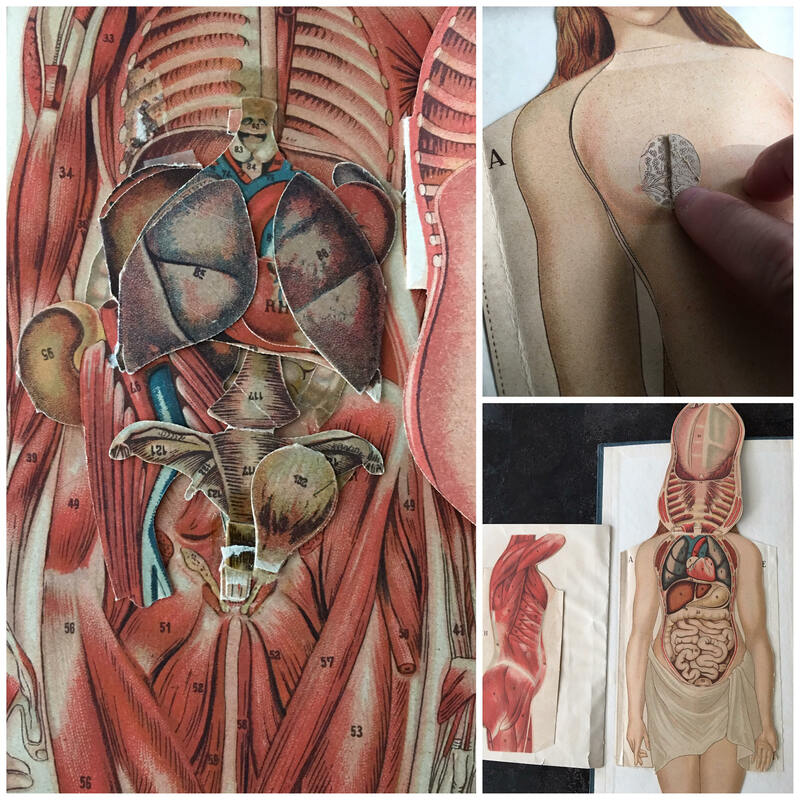 Some of the small internal organs of inside layer have come loose over time, but I think condition is pretty amazing for being over 100 years old! 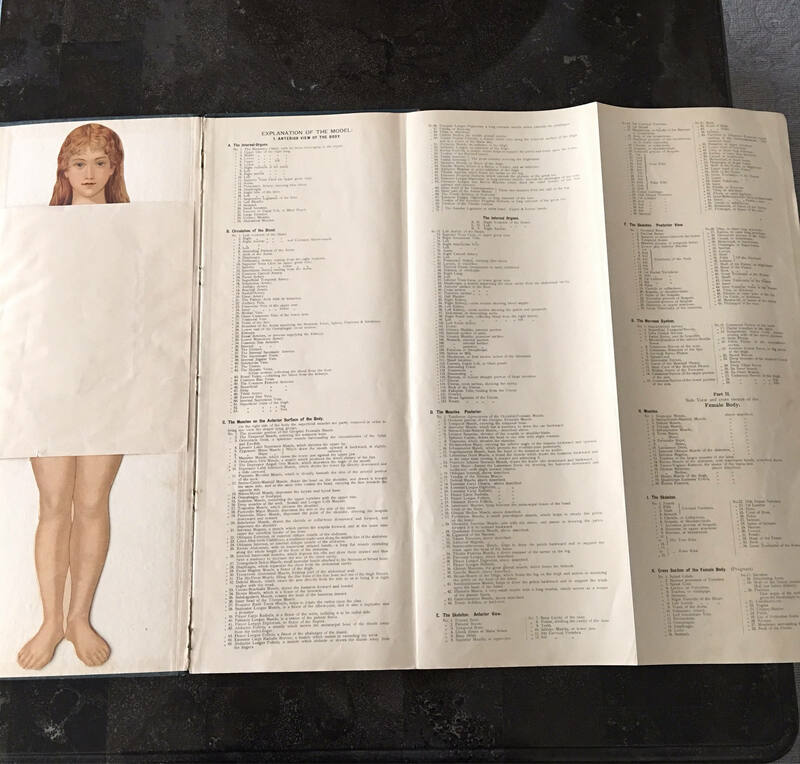 Published by the American Thermo-Ware Company, New York, no printing or copyright date. 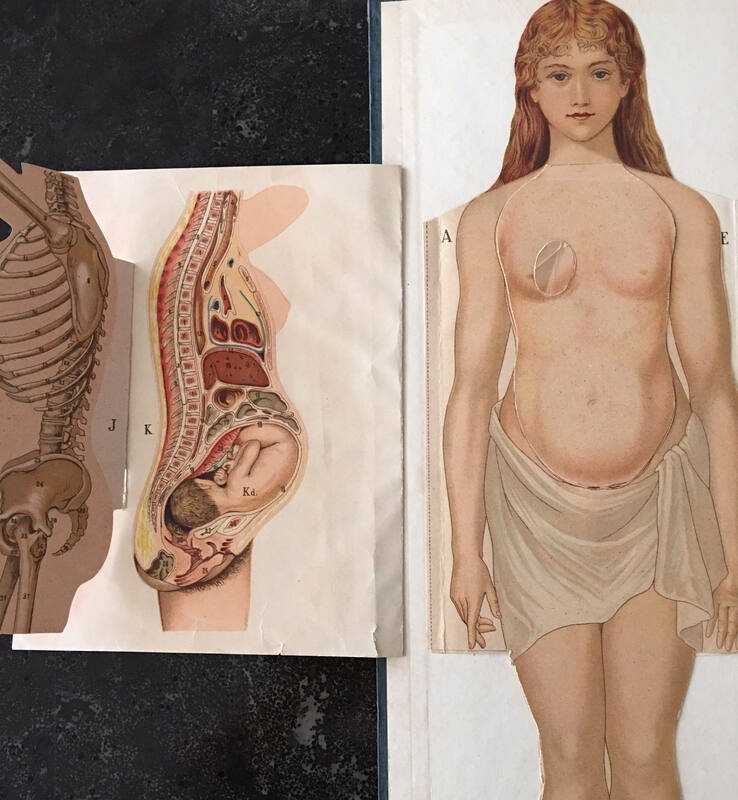 There are over 300 distinct and numbered body parts represented. 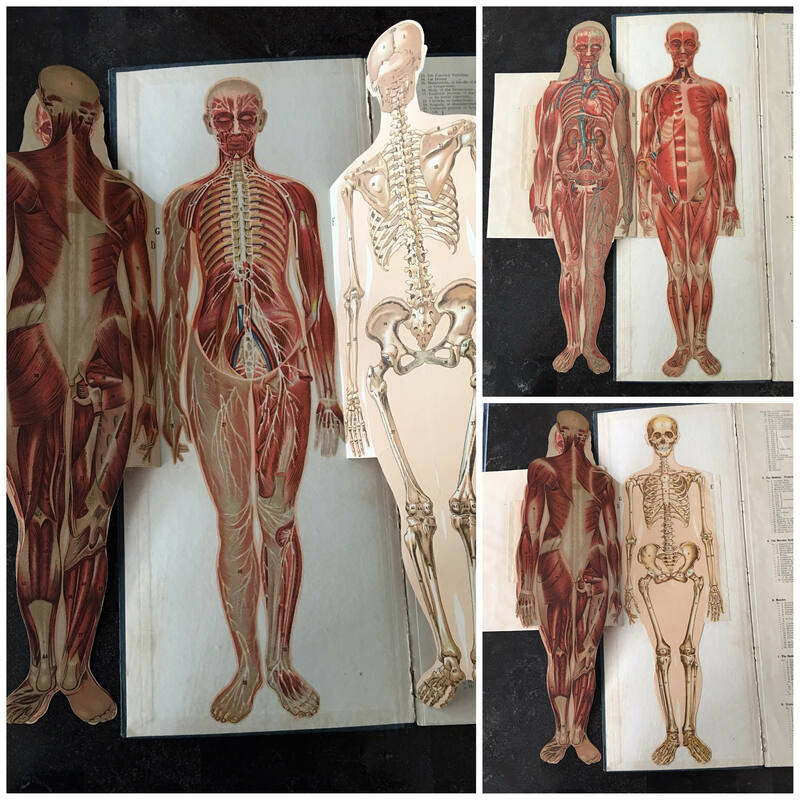 A 3-page fold out key to the parts of the body is included along with 13 pages of detailed descriptions. Thin (1/8") volume is 14 pages, 8 x 19-1/2 inches with some fading, wear & soiling of cloth boards. Circa 1905.